All ceiling fans that are designed by Efenz go through the most stringent of quality control checks before they are sold in Singapore. As they are made from premium quality materials, both the form and function of these fans has been specifically crafted to battle the stifling summer heat of Singapore. The make and form of these fans caters towards the Singapore markets requirements and features an ultra slim structure (85mm only), specially crafted ECM DC 155 motor, uniquely curved blades, and even a dimmable LED with 3 different glow settings. It’s also available in 5 different sizes from 34” to 60” & available in 5 different colors: i.e. white, black, natural pine, maple wood, and midnight titanium. Typical ceiling fans have conventional DC motors. While that’s totally fine, it’s important to note that even with their low energy consumption they deliver a weaker air flow, come with a limited warranty, and make a relatively larger amount of noise (<50db). On the other hand, the ECM DC 155 Motor used in all the Efenz fans has low energy consumption and generates an airflow that is as strong as AC fan. The high efficiency permanent magnet used in these motors comes with a lifetime warranty. 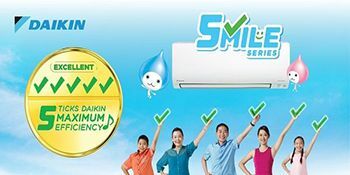 In fact, it’s the first ceiling fan in Singapore with a 36 month on-site warranty. But best of all is that it makes very little sound (<30db) which borders on ultra silent for a ceiling fan. 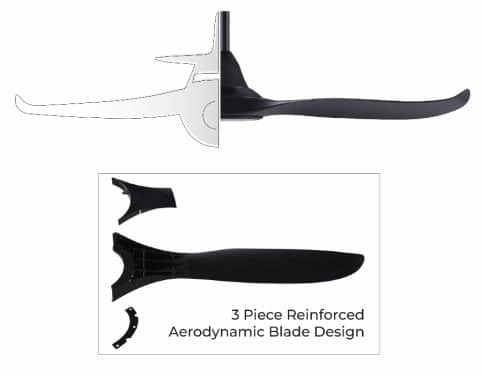 All of Efenz fans come with a unique three-piece curved blade. Its form has been inspired by the aerodynamic wings of an airplane. This technology has been carefully engineered within the fan structure and helps it withstand the stress caused by spinning at high speed. These fans are also made from Acrylonitrile Butadiene Styrene (also known as ABS) which has anti-corrosion properties that allows for easy maintenance and lesser accumulation of dust. So, now that summer is just around the bend, you can simply furnish your homes with these unique and highly efficient ceiling fans to beat the heat!